We Are Offering Manual DoFollow Blog Comments On Unique Domains !! For Only $ 8 $. Try Our Service Once, And You Would Never Want To Go To Any Other Blog Commenting Provider. Guaranteed you will love my service, Order now! For just $8 there's nothing to lose! Detail Excel Report will be Provided on work Completion. 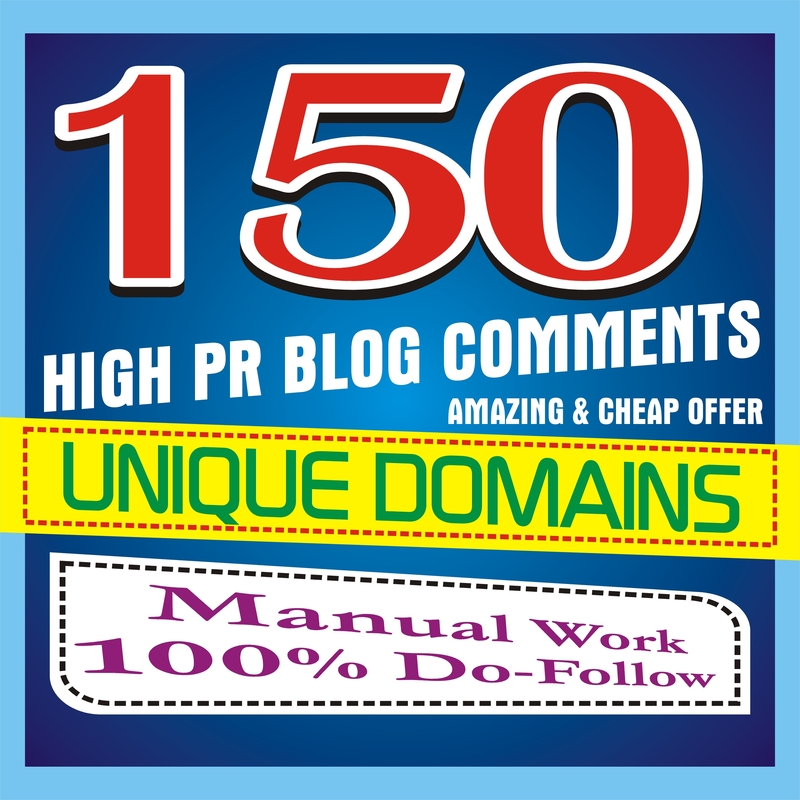 DO MANUALLY 150 BLOG COMMENTS BACKLINKS ON UNIQUE DOMAINS is ranked 5 out of 5. Based on 4 user reviews.